Ahead of its debut on October 13th, Netflix have released a final trailer for original series Mindhunters. Having established the look of House of Cards, David Fincher returns to Netflix to direct the first two episodes of the streaming service's latest original series, Mindhunter. Joining him on the show's impressive roster of directors are Amy and Senna's Asif Kapadia and A War and A Hijacking's Tobias Lindholm. 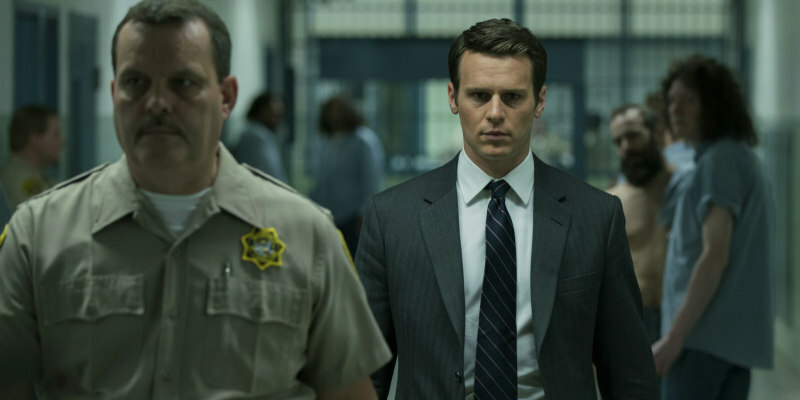 Mindhunter follows a pair of FBI agents, played by Jonathan Groff and Holt McCallany, who use psychological profiling techniques to hunt down serial killers. It debuts on Netflix October 13th. In MINDHUNTER, FBI agents Holden Ford (Jonathan Groff) and Bill Tench (Holt McCallany) study the damaged psyches of serial killers in an attempt to understand and catch them, and in the process pioneer the development of modern serial killer profiling. The series launches globally this Friday, 13 October exclusively on Netflix.